Our motto of “One Team, One Mission: Committed to Public Safety Professionalism” says it all. We are credentialed and experienced public safety experts committed to our profession and dedicated to ensuring that professionalism is its cornerstone. Leveraging our experience and business model will substantially reduce your agency’s exposure to liability while cutting operating costs and inculcating a culture of professionalism. Our on-line training modules, accreditation expertise, and web-based policy management experience are second to none. Our record of success is well established and growing rapidly because we customize every policy and training module for our client agencies while doing it much faster and significantly cheaper than they can do it themselves. Our value to your agency is further enhanced by virtue of the fact that staff needed to develop policy, prepare training curriculums, and manage your accreditation efforts can remain doing operations, saving your agency additional expenses. To date, the company has been directly retained to assist in excess of in excess 250 separate public safety agencies and currently conducts in-service training for in excess of 5000 police officers from over 125 different departments each month. Frank E. Rodgers retired as the Deputy Superintendent of the New Jersey State Police in 2007 at the rank of Lt. Colonel after twenty-five years of service. While serving in the second highest ranking position in the largest police department in the State of New Jersey, he led the Investigations Branch which consisted of in excess of 900 detectives, analysts and scientists assigned to 57 different units with an annual budget of in excess of seventy-five (75) million dollars. A strong advocate of police professionalism, strategic planning and accountability, he initiated and directed a complete restructuring of the organization’s investigative assets predicated on the principles of “Intelligence Led Policing”. During his tenure as the Deputy Superintendent of Investigations, he directed the development of the “Practical Guide to Intelligence Led Policing” which was published by the Center for Policing and Terrorism at the Manhattan Institute and was adopted in February 2009 by the U.S. Department of Justice as a national model for conducting law enforcement operations. 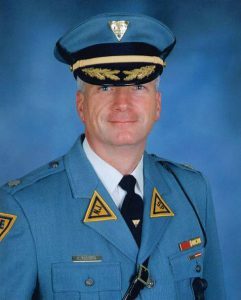 Following his career with the State Police, he was appointed as the first Police Director of the newly formed New Jersey State Park Police in the Department of Environmental Protection. During his tenure in that position, he developed the force of 120 officers who are responsible for protecting the eighteen (18) million annual visitors to the state’s fifty-one (51) parks into a CALEA (Commission on the Accreditation for Law Enforcement Agencies) nationally recognized and New Jersey State Association of Chiefs of Police Accredited agency. In 2008, Rodgers formed his own private consulting company. He was immediately contracted to serve as Team Leader of the baseline capabilities assessment of the national network of seventy-two (72) intelligence fusion centers commissioned by the Office of the Director of National Intelligence. To date, the company has been contracted to develop policy and provide customized training and consulting services to in excess of two hundred and fifty (250) public safety agencies. In 2008, he was certified as an Assessor for the Commission on Accreditation for Law Enforcement Agencies (CALEA) and the New Jersey Law Enforcement Accreditation Program. He is recognized by the Superior Court of the State of New Jersey and the United States District Court as an expert in law enforcement procedures, policy, training and supervision. In 2011, he founded and now leads the Center for Public Safety & Security at Stockton University in New Jersey. 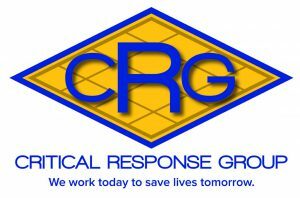 In July 2016, Rodgers opened a second company known as the Critical Response Group, Inc. Working in strategic partnership with BAE Systems, the new company’s efforts focus on the creation of Collaborative Response Graphics (CRGs) which are visual representations of text-based emergency response plans that transform difficult to use written plans into highly-usable, geospatially accurate visual planning and response tools. Once disseminated to any handheld Smart device, the person viewing the image (CRG) can see themselves and others in real time on the actual plan. Rodgers holds a Master of Arts Degree in Education from Seton Hall University and is a graduate of the FBI National Academy. He is the co-author of a comprehensive published history of the New Jersey State Police and the Internal Affairs Investigations Manual for Investigators. He is also the recipient of the organization’s highest award, the 1990 Trooper of the Year for his investigative work. To contact Frank Rodgers, please call our office at (732) 279-6657.